In face of both of these polemics against the doctrine of the ontological Trinity, and against any suggestion that it is only the freedom of God that is at stake here, it can be argued that on the contrary that doctrine serves as a foundation for the relative independence and so integrity of worldly reality also, and thus for human freedom. It is because God is a communion of love prior to and in independence of the creation that he can enable the creation to be itself (Gunton, The Promise of Trinitarian Theology, p. xviii). Ultimately, Gunton writes, the elision of the immanent Trinity has a propensity to ‘the pantheism which results from any attempt to bring God and the world too close’. In other words (and to go a bit beyond Gunton’s own phrasing), the moment we negate the fullness of God’s being in its antecedence to the world, the world takes on a character that it was never meant to have and must bear the unfortunate burden of assisting in the project of God’s own self-realization. What do you think about this point? What are some ways of drawing out the implications of the preservation (or forfeiture) of God’s freedom in se for our understanding of creation? 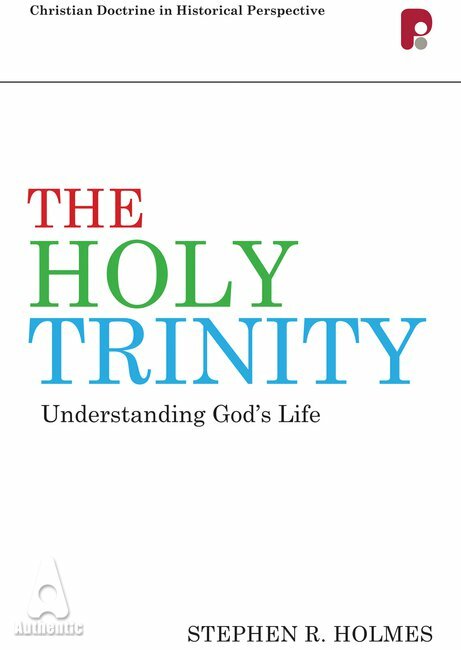 Earlier this year Paternoster released Steve Holmes’ new book The Holy Trinity: Understanding God’s Life in the Christian Doctrine in Historical Perspective series edited by Alan Sell. Steve has been at work on the doctrine of God for some time now and this book, as Karen Kilby’s blurb on the back cover notes, can be viewed as both a textbook for historical theology and also an ‘intervention’ in recent debates about the doctrine of the Trinity. The volume certainly endeavors to canvas the historical and modern developments in a level-headed manner and yet, insofar as contemporary trinitarian doctrine must heed the wisdom of our theological forebears, it cannot help but call into question a number of the more recent proposals. I don’t have any hard facts on when this tack became plausible or on how pervasive it is (no doubt the bifurcation of Jesus and Paul is somehow a factor), but it seems lately that the claim that Jesus himself did not overtly express concern about a particular spiritual or ethical issue in the Gospels constitutes an argument to the effect that Christian believers need not concern themselves with that issue. This can be (and has been) used in the case of homosexuality, for example: Jesus apparently did not feel the need to address the matter; therefore (so the logic runs), Christian believers are not obliged to take a hard line on whether such conduct is sinful. Whether the issue at hand is homosexuality or something else, there are at least two significant problems with this approach to dealing with hot-button spiritual and ethical quandaries in our day. First, it proceeds on a warping of the analogy of Scripture, or the commitment to allowing clearer passages of Scripture to help in interpreting more difficult ones. 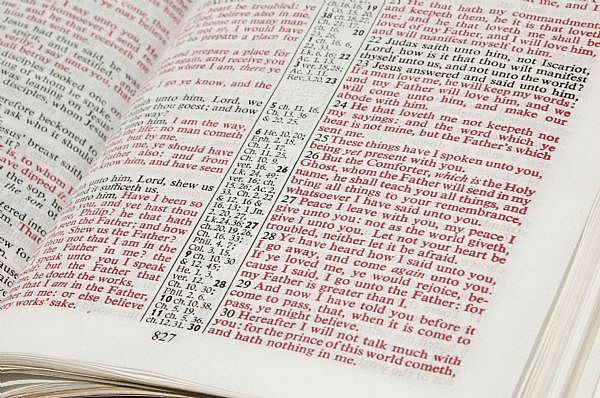 The analogy of Scripture is useful when one text genuinely boggles the mind of even the most careful reader and other relevant texts can be invoked to establish parameters within which the difficult text should be understood. However, in the case of things like homosexuality, the importance of well-ordered doctrinal formulation, the importance of church polity (all things about which, allegedly, Jesus was not terribly concerned), there are texts that come at these topics in a reasonably straightforward fashion (Rom. 1:26-27; 1 Cor. 6:9; 1 Tim. 6:3; 2 Tim. 4:3 ; Titus 1:9; 2:1; Jude 3; Acts 14:23; 1 Tim. 3:1-13; Heb. 13:17; Jas. 5:14; 1 Pet. 5:1-5). Moreover, instead of employing particularly lucid texts in those cases to help in wrestling with difficult passages, the ‘Jesus said nothing about…’ argument actually attempts to use mere silence as the lens through which to view passages concerning homosexuality, etc. In other words, a move with some resemblance to the use of the analogia Scripturae actually lacks both of the conditions for using the analogy: unclear texts and clearer ones that shed light on those that are unclear. 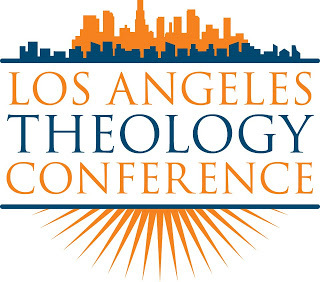 I was asked by Scot McKnight to review the book Rethinking the Trinity and Religious Pluralism: An Augustinian Assessment by Keith E. Johnson. This is a fantastic book, and if you would like to read my review, check it out on Scot’s blog, Jesus Creed, here. 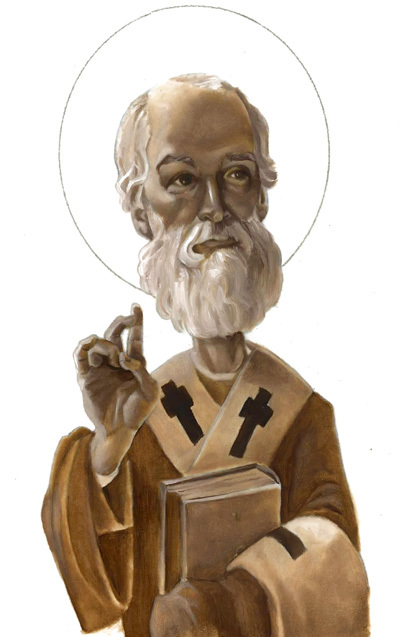 My students and I were reading Athanasius and Hilary of Poitiers today on the topic of God’s self-disclosure. On one hand, the teaching that God is in some sense unknowable has always been a part of orthodox Christian belief. But on the other hand so has the claim that God has made himself known in Jesus Christ; ‘Emmanual,’ God is with us. To feel the tension you can go any number of places in the Christian tradition, but Athanasius and Hilary open this up really well. 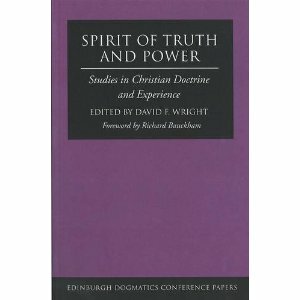 I am going to be doing some review essays on the book Spirit and Power of Truth: Studies in Christian Doctrine and Experience, which is a collection of papers from the ninth Edinburgh Dogmatics Conference. There are several essays I would like us to consider from this volume, so here I will start with Bruce McCormack’s essay, “Trinity of Life and Power: The Relevance of Trinitarian Theology in the Contemporary Age.” This article is particularly interesting in light of the emphasis in my previous post “Re-Casting Nicea,” which looked at Samuel Clarke’s doctrine of the Trinity.